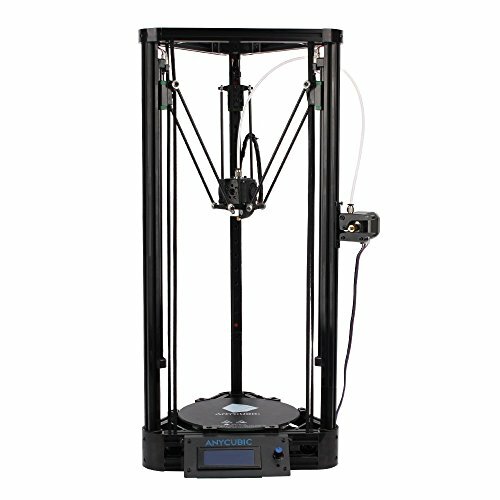 Stronger Frame Construction: Upgraded to European Standard 2020 aluminum profile ensure stable prints. 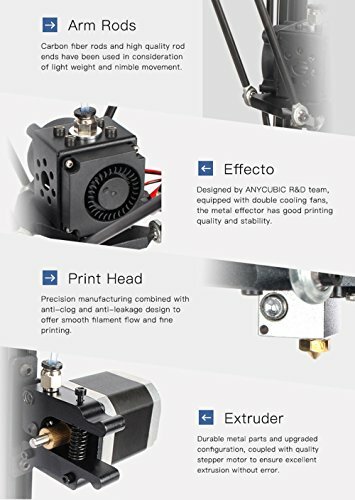 Quality Prints:All metal printing hotend with two cooling fans are conductive to higher precision and quality prints. 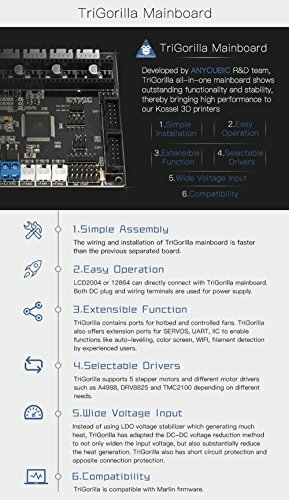 All-in-One TriGorilla Mainboard:Developed by Anycubic R&D Team,easier to be installed and operated,support 2004 and 12864 LCD ,compatible with A4988,DRV8825 and TMC2100 stepper drivers,it also reserves spare port for heatbed and controlled fan. 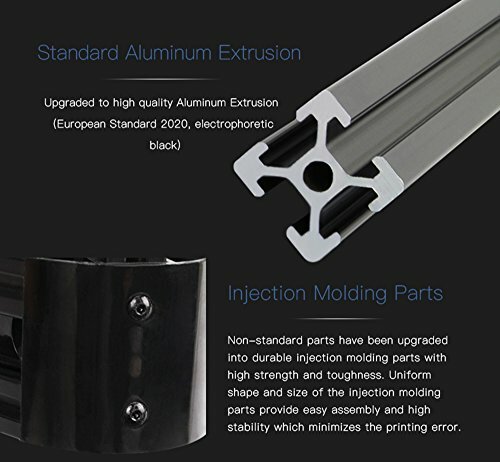 Durable Metal Extruder:Upgraded to metal parts,equipped with high torque stepper motor,stable rotating speed and uniform extrusion force,feeding filament smoothier. 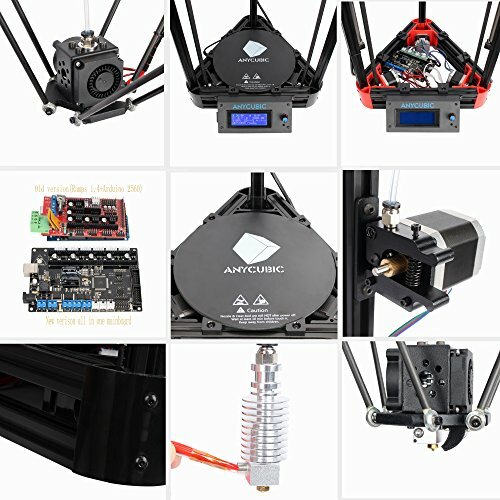 Anycubic Advantage:All the Anycubic 3D printers have been certificated by CE.We take care of all parts of unartificial quality-related issues with a replacement for 3 months after the purchase date,and provide lifetime technical support.